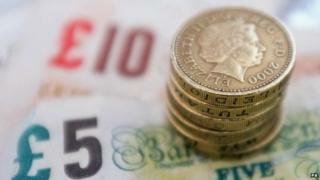 On the currency markets, the pound was up more than two cents against the US dollar at $1.5455. The Conservatives have unexpectedly managed to secure a slender majority, to the relief of investors who had expected a long period of uncertainty. In the run-up to the election, opinion polls had suggested that no one party would win a majority, raising the prospect of a hung parliament. But the markets welcomed the news that the election outcome was clearer than expected. "It appears that we will avoid weeks of uncertainty and horse-trading," said UBS in a research note. Bank shares saw some of the biggest gains, on hopes that the sector will not see any further rises in levies. Shares in Lloyds Banking Group rose 5.75% while Barclays was 3.7% higher. To state the obvious, investors love the Tories' general election victory. One (no surprise here) is that Labour's threat of breaking up banks and imposing energy price caps has been lifted. Second is that investors have been discounting days and weeks of wrangling after polling day over who would form the government - and so they are semi-euphoric that we already know who's in charge. Third, many investors tend to be economically conservative and instinctively Conservative. As well as jumping against the dollar, the pound also rose against the euro, climbing more than two euro cents to €1.3774. "The market often likes a bit of consistency and stability and if the Conservatives are returned to power... they will be able to push through a lot of the policies and approaches that they have done over the last five years in parliament," said Jason Hughes from trading firm CMC Markets. However, analysts said the rise could be short-lived as uncertainty over a possible "Brexit" or Britain leaving the European Union affects trading, with a referendum on the UK's EU membership now likely. Bill O'Neill at UBS Wealth Management said: "Sterling will, in our view, be moved by a number of different factors in the coming days and weeks. "The Brexit and Scottish devolution debates might influence the path of the pound quicker than we think. "The good news is that the current fiscal trajectory remains firmly in place. Importantly, the Bank of England will not be confronted by a change in the fiscal framework. This could prompt lower for longer interest rates."